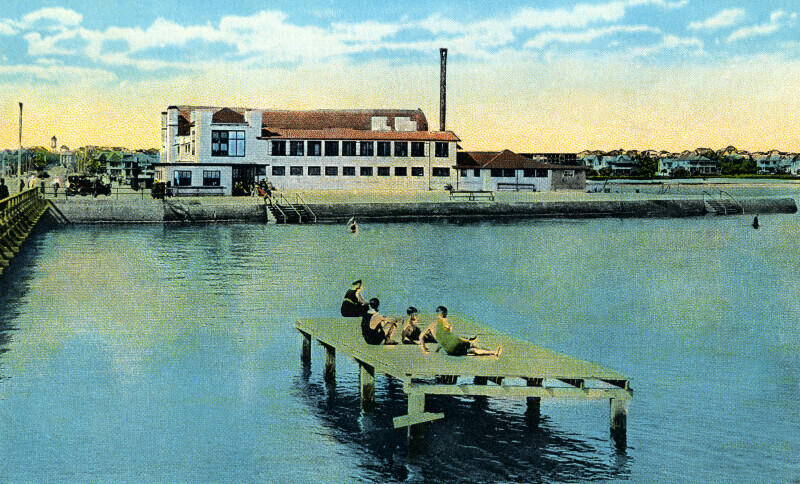 In this scene, there are people sitting on a diving platform built out in the middle of the water. In the distance the spa building, and Spa Beach can be seen. Closer to the building, there are people bathing in the water. To the left, the railings are visible.